Picture Windows, Cornelius, NC | G&S Contracting, Inc. If you are looking for an experienced company that can install picture windows in your Cornelius, NC home, call us at G&S Contracting. Picture Windows in Cornelius – Picture windows are typically larger than other types of windows, and they are fixed, which means that they don’t open or close. The ultimate purpose of a picture window is to provide a frame for a beautiful view outside. There are a number of benefits that come along with choosing picture windows for your home. One perk is that there are no moving parts, so once the window is installed, it doesn’t have mechanical components that can break or become damaged. For this reason, cost-effectiveness is another benefit. On sunny days during the winter months, sunlight can pour through the large window and provide warmth to the space. Additionally, a picture window adds a lot of natural light to the room. You can save money on electricity costs by taking advantage of natural light instead of relying on lamps and overhead fixtures. Natural light also has proven health benefits. If you are looking for an experienced company that can install picture windows in your home, call us at G&S Contracting. We have been serving the Cornelius, North Carolina area for more than three decades. 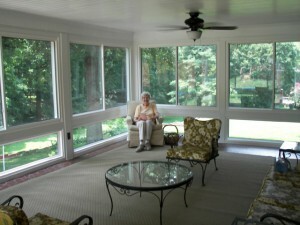 Our team members are experienced with installation and maintenance of all types of windows, including picture windows. We also use high-quality products that are built to last. Our company has an A+ rating with the local chapter of the Better Business Bureau, which shows our commitment to excellence and the positive experience we provide to each and every customer we serve. At G&S Contracting, Inc. we offer the highest quality Picture Windows to our customers in North Carolina including: Mooresville, Cornelius, Davidson, Huntersville, Charlotte, and Lake Norman, North Carolina.